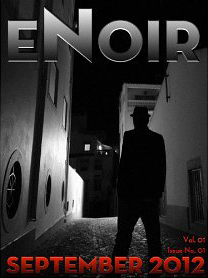 An extract of my second novel, The Cambodian Book of the Dead is featured in this month’s edition of eNoir, a kindle published magazine of Noir fiction. 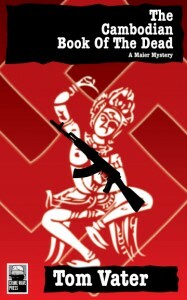 The Cambodian Book of the Dead, published by Crime Wave Press, is available as a kindle edition on amazon. Crime Fiction Lover wrote: “The writing is technicolour and lurid at almost every turn of the page, without ever quite descending into parody. The decaying wreckage of the French colonial past, and the grasping, all-consuming jungle are apt, if obvious, metaphors for the corruption, violence and vice which strangles a Cambodia struggling to leave behind its blood-soaked history. Death and degradation are never far away as Maier stumbles from one crisis to the next in his attempt to unravel the mystery of the alluring woman called Kaley, and the fatal spell she seems to weave over the decadent world of Kep and its inhabitants.